If you belong to another site within Passions Network, and you would like to add the Equestrian Passions site into your account, do not create a new account. Just login & click the 'MY SITES' link in the My Account area to add it into your account. 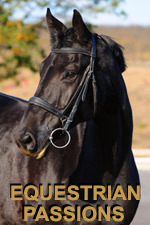 Equestrian Passions is a Free online dating and social networking site for the Equestrian community. Members enjoy free photo personals, email (send & receive), forums, blogs, audio chat, text chat, webcam chat, instant messaging, friends lists, Equestrian groups, virtual gifts, smooches, library of favorite books recommended by members, directory of favorite websites recommended by members, 'Who Viewed Me' features and much, much more. Fill in the information below to join Equestrian Passions, and once you are a member, please review the HELP section for recommendations on how best to use the site.